What to Look for When Buying Organic Food for Dogs? 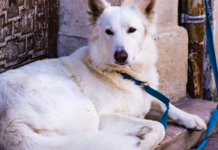 Does My Dog Need Organic Dog Food? What are the Benefits of Organic Dog Food? Dogs are becoming more humanized in the way they eat, live and what they use. Organic food is the best for our digestive system and has the same benefits for a dog. With so many options each claiming to be the best diet for your dog, how do you even begin to choose? From grain-free, breed specific, holistic, wet and dry food options, this problem is really a head-scratcher. We’ve downsized our list to our top 5 picks to help you out. Whatever you decide to feed your pup, one thing is for sure, it will have a profound and long-lasting effect on its health. One major benefit of the right kind of diet is the quality and longevity of your fur baby’s life. Not only is this dog food organic, but it also contains whole grain with free-range chicken as its first ingredient. 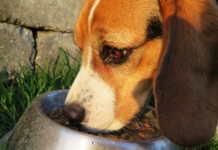 The kibble is dehydrated to give the maximum amount of nutrition to your fur baby. Just make sure you keep enough water in his/her bowl! Being organic, we also expect this freeze-dried dog food to be 100% natural. It’s true! You won’t find any by-products, preservatives or GMO ingredients. To add to your peace of mind, all the ingredients are processed in the USA in a human-grade processing facility. The ingredients in this recipe are on par with human ones. 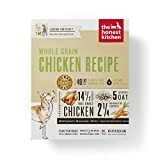 Why We Like It – The Honest Kitchen guarantees premium quality dog food with high-quality ingredients that meet the AAFCO nutrition standards. Give the dog food that even you would eat! Your dog will definitely get the muscle support it needs with the real organic chicken as the number 1 ingredient that makes up 32% of the protein! 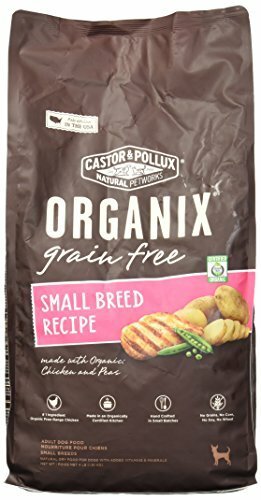 Not only is the chicken organic, but it also contains organic peas, potatoes, and lentils to give your pup the antioxidants it needs. Cooked in the USA, this organic and grain-free blend is meant for smaller breeds. 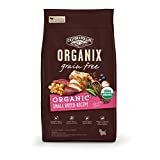 Certified by Oregon Tilth, an American non-profit organization dedicated to supporting and advocating organic food and farming, Organix really looks out for your dog’s best interest. Why We Like It – Organix focuses on all-around nutrition. The ingredients used to provide your dog with protein, fiber, vitamins and minerals among others. A 100% complete and balanced nutrition your small breed dog needs. Naturally grain-free, this dog food is rich with delicious premium protein as the first ingredient, combined with vegetables and essential vitamins and minerals. All-natural with no wheat, corn, soy meat by-products, artificial flavors, colors, and preservatives, there’s no need to worry about any adverse health effects. Proudly made in the USA, this product is backed by the Wellness Guarantee. 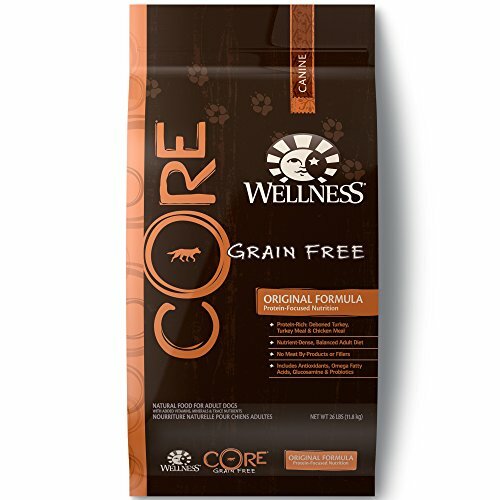 This grain-free option is with 80% more meat than traditional dog food, Wellness Core supports the raw feeding philosophy by giving high levels of meat. Other than the meat, enough antioxidants, omega fatty acids, and other healthy minerals can be found in each bowl. 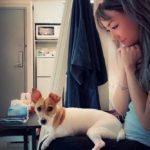 Why We Like It – There are five signs of wellness and Wellness Core does their best to reinforce each of them in your dog. They do their best to develop an extensive quality assurance program to make sure their products are safe and pure. This recipe includes a nutrient-packed superfood blend with organic flaxseed and blueberries with absolutely no artificial preservatives, added growth hormones or antibiotics. No traces of chemical pesticides or synthetic fertilizers can be found either. 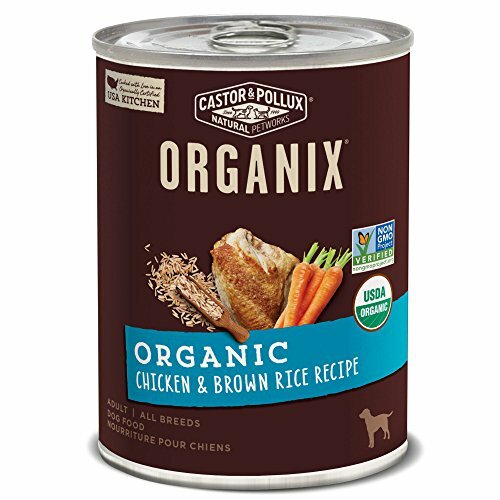 100% organic, with free-range chicken as its number 1 ingredient, this dog food is cooked in an organically certified USA kitchen. This wet dog food is a perfect addition to any dry dog food. As a maker of one of America’s number 1 organic pet foods, Organix takes ‘natural’ to a new level by getting certification from USDA’s National Organic Program (NOP). Why We Liked It – Being organic is one thing, but also being all-natural with no additives is another. With many certifications to ensure safety, Organix is a top brand and the only complete line of USDA certified dog food. You aren’t really organic until you’re certified by Oregon Tilth. This grain-free option has no wheat or corn and is free of added antibiotics as well as chemical additives. Not only is Newman’s Own dog food certified by Oregon Tilth, but it also has another certification from the USDA providing complete and balanced nutrition for dogs of all ages and sizes. Much like other Paul Newman products, the commitment to use 100% of all profits for charitable purposes still applies. 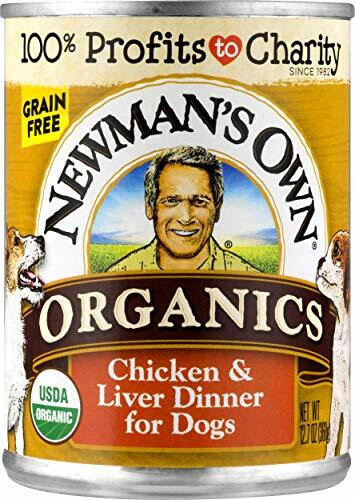 Love your dog and your fellow man by serving Newman’s Own for dinner today. 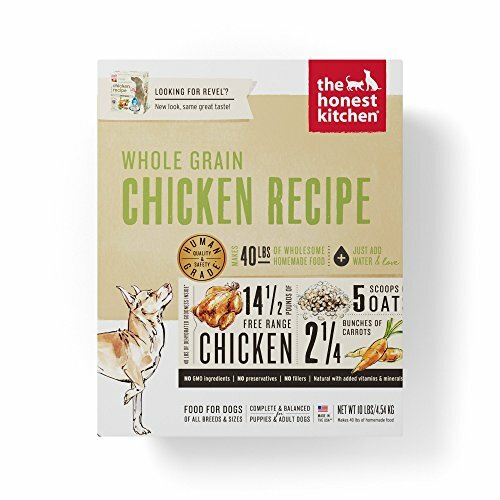 Why We Like It – With this wet dog food, you get 95% chicken and liver. For dogs with allergies, this grain-free option is great! 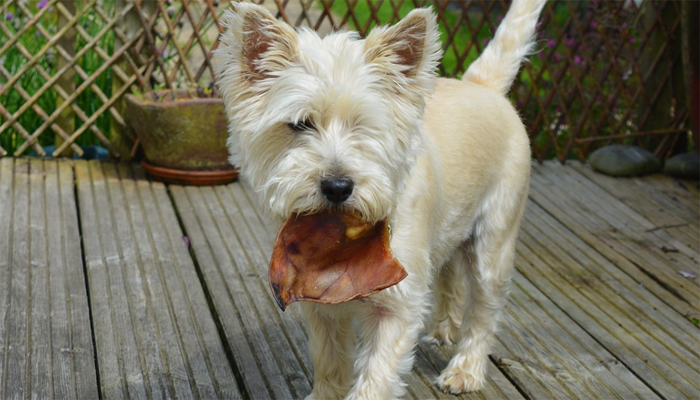 The chunky texture of Newman’s Own satisfies your dog’s tummy and taste buds. Poor diet is the main cause of chronic conditions in humans and animals. To prolong your pet’s life, start by adjusting its diet. A dog’s diet is not much different from ours, they benefit from grain-free options if they are highly-sensitive, and organic food only does them good. The importance of premium grade ingredients is irrefutable. Much to our luck, organic dog food is filled with wholesome, healthy, and safe ingredients from many brands that have multiple certifications. An organic product is the most natural. If you want to be approved by the USDA, you must meet very strict standards. If you see the seal of approval on any package, rest assured that your dog will be getting the best. Read the labels at the back of the packaging. You should be able to understand and recognize 90% of what’s written. 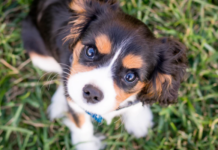 It’s okay if you don’t understand some scientific names of certain minerals, but ones beneficial to your dogs such as glucosamine or L-carnitine are among ones you should familiarize yourself with. Whichever ingredient comes first is what makes up the most of the dog food. Ideally, you want to be able to recognize the first 5. Meat should ALWAYS be the number one ingredient. Any certification from the FDA (Food and Drug Administration), USDA (United States Department of Agriculture) and AAFCO (The Association of American Feed Control Officials), is what you should look for. You should find the seal or stamp of approval very clearly on the package. These terms do not mean the same thing. Organic means this dog food uses ingredients that are produced without added artificial chemicals or substances that are not from the natural world. Natural, on the other hand, means not synthetic or man-made. Think of it this way, an organic product is always natural and are not produced with anything as a result of man. Natural, means nothing synthetic, fake or manufactured. Know the difference and figure out which is the right choice for you. When dog food is labeled ‘organic’, there are three different things that could mean. If the label reads 100% organic, that is the best you can get. That means everything involved in making this dog food is produced organically. The standard organic label means about 90% of the ingredients are organic. They will usually list the ingredients included that are not organic, so it’s important to read the fine print. The final one is the ‘made with organic ingredients’ label. This means there is a lower content of organic ingredients, at around 70%. Anything that is organic will be less likely to cause health issues or adverse bodily reactions. Organic food is good for your dog’s health overall, but let’s look at some specific areas it will definitely improve. If grain-free food isn’t doing the trick for your dog’s allergies, try organic food. Most likely you’ll see a reduction in allergies. 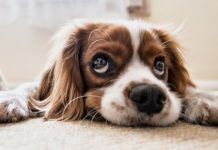 Does your sensitive pooch also have digestive orders that other types of dog foods are exacerbating? Try organic food. Anything free of artificial or synthetic ingredients is easy on our furry best friend’s system and improves their overall immunity. 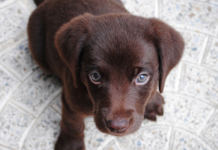 Last but not least, the quality and longevity of your pup’s life will greatly increase. Other than the overall health improvements and certain sensitivities we mentioned above, here are some other benefits of organic dog food. If an organic diet is introduced early on in your dog’s life, a lot of serious conditions can be avoided. This is because many canine health conditions are a result of inadequate nutrition or exposure to dangerous and harmful ingredients. Organic dog food also has higher nutritional value and fewer fillers, which means your dog needs less food to feel full and this can regulate his or her weight. Whether or not you’re a big health nut, you might already know how important a role diet has in any living being’s life. Organic food is a good call for those of us with fur babies that already have health issues, or for those of us wanting to prevent them. Consider the great benefits of organic food, and give it a try! The healthier the food is, the pricier it could be. And that’s just a reality we need to make peace with. Organic food promotes both interior and exterior health, a natural prevention for any disease. It was an American electrician, James Spratt, in the mid-1800s who first made dog food because he saw dogs at the time eating scraps on the street. The first dog food was made up of wheat meals, vegetables, and meat. Look how far we’ve come with these organic choices! If you’re still concerned about changing your dog onto an organic diet, we always recommend asking a Vet for their expert advice.